Practice for the California High School Exit Exam (CAHSEE) anytime, anywhere! This is a free version of Interaction's California High School Exit Exam Prep series. 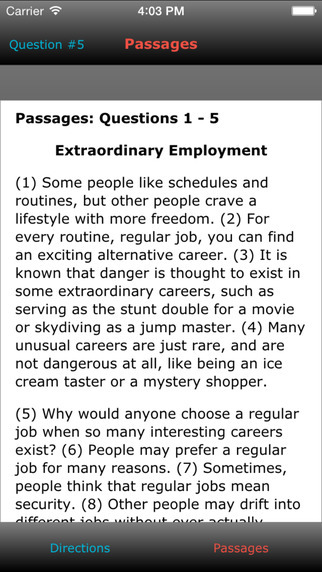 Example questions on Math, Language Arts and Writing are provided. Additional questions are available in our CAHSEE Math 1 and CAHSEE Lang Arts 1 apps. Students can sharpen their skills with the CAHSEE practice tests. 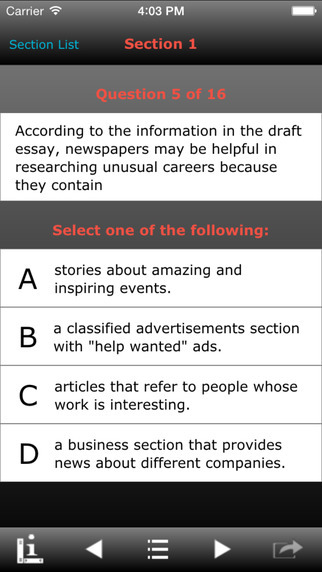 This app has sample multiple choice questions similar to those found on the real CAHSEE test. There are two ways to practice! Use the flash cards for instant feedback or practice with a real test session and review scores at the end. 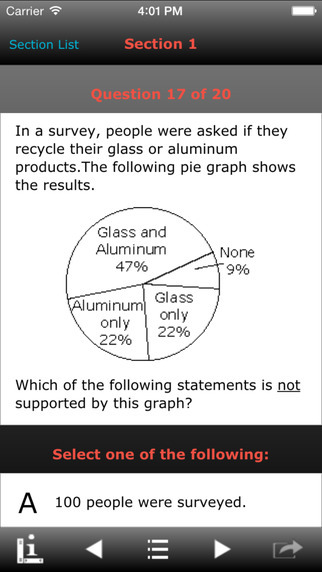 CAHSEE practice tests make practicing easy! 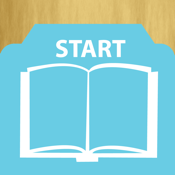 With the auto-save feature, students can close the app and it will automatically save their answers so they can resume the test when it is convenient. Organized into sections for simple navigation, CAHSEE practice tests cover math, language arts, and writing. Practice them all or pick one area to focus on, the choice is yours! 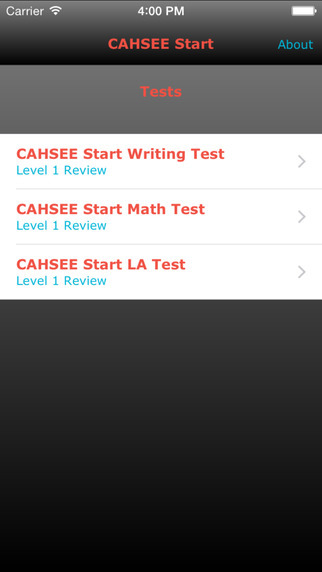 Check out our CAHSEE Math 1 app for a Level 1 Math practice test and our CAHSEE Lang Arts 1 for complete writing and reading comprehension tests!